STOMP Out Bullying is excited to announce its newest Global Ambassador, Nick Cannon. Nick recently took some time out to shed light on the important subject of Bullying and those affected by it. His new video “Die Young” was introduced on BET’s 106 & Park last week and it’s already a big hit. Both the video and the song are deeply personal to Nick and the track addresses real issues that so many people deal with each day. You can watch the video here. It can mess up a kid’s future. Bullies are more likely to skip school, drop out of school, smoke, drink alcohol, get into fights and be arrested at some point in their life. 60% of boys who were bullies in middle school had at least one criminal conviction by the age of 24. Last June STOMP Out Bullying launched its HelpChat Line which to date has helped over 2,900 students and saved 52 lives. Nick Cannon’s video will no doubt raise public awareness for the issue of bullying and hopefully inspire many to take action and spread the message of tolerance and compassion. Nick is the newest Global Ambassador for Stomp out Bullying. 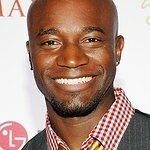 He joins other ambassadors such as Lance Bass, JoJo, Taye Diggs, Brittany Snow, Bella Thorne and many more.